Now, every element that is added to the design can be tiled allover the design. This works for all products: football scarves, fashion scarves, blankets, beanies. 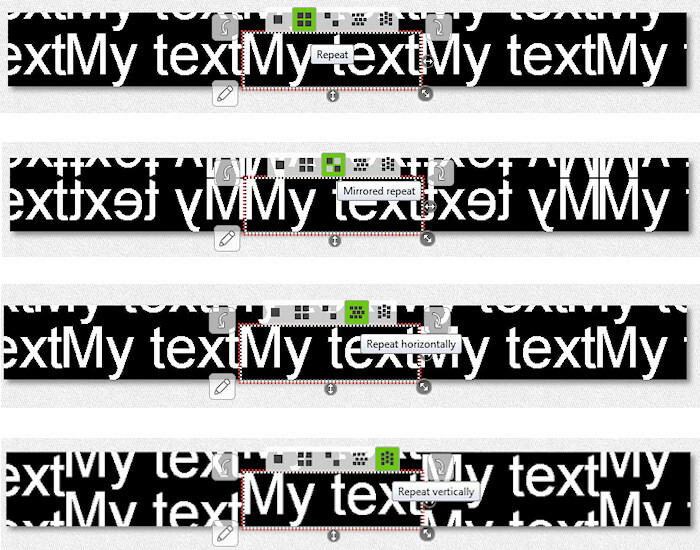 In the sample here, the text element “My text” is selected. Tile options are displayed at the element. Click buttons to tile the element allover the design. Choose a pattern tiling option: repeat, mirror repeat, repeat horizontally and repeat vertically. Try out these options, while resizing the element. There are thousands of new ways to create your design. Hint for text elements: add spaces if more spacing between letters or words ist needed. Or increase the border size while keeping the border color transparent. Thus a background pattern is still visible although behind the text. Tiling also works for cliparts or uploaded images, photos, logos etc. Upload your team logo, and not just put in on the scarf’s edge, but have it repeated allover the design. When adding own images, you can also use the crop tool to crop the image, and create even more awesome effects (e.g. kaleidoscope), especially on custom blankets. 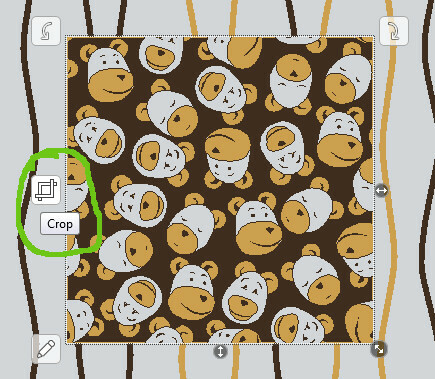 This entry was posted in How-to, News and tagged allover, blankets, crop, custom, design, element, repeat, scarf, soccer scarf, tile on May 25, 2016 by user2.